Please ensure all of the below information is correct. Thank you for requesting a reservation! Please note that your reservation is not confirmed. A staff member will call you within 24 hours to confirm your reservation. Feel free to give us a call at (609) 961-3899 with any questions. Please call us at (609) 961-3899 to make a reservation. 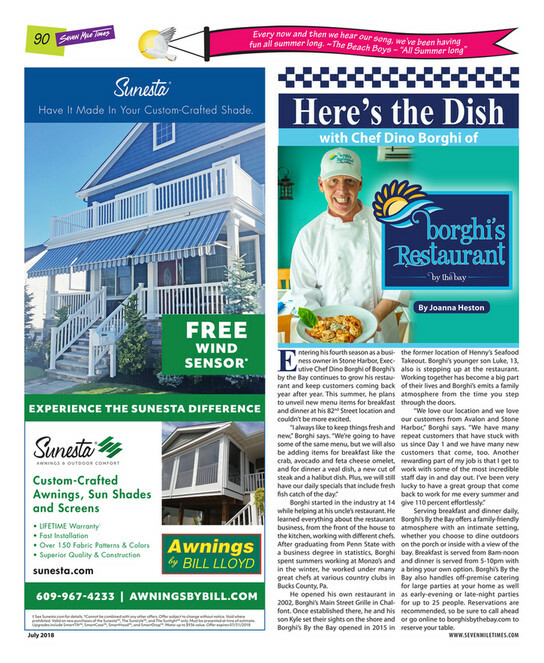 Dino Borghi has always loved the shore. From the time he was a teenager, he spent his summers at the beach, working as a chef at a popular restaurant in Wildwood Crest. In the back of his mind, he always dreamed of someday owning his own restaurant at the Jersey Shore. However, Dino’s dream of owning a restaurant down the shore has never left him. After several years of searching, his dream became a reality! 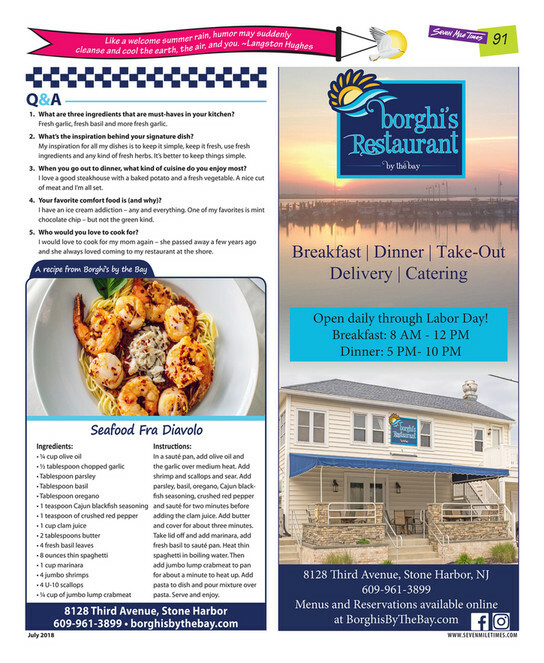 Borghi’s By the Bay, located in Stone Harbor, NJ, opened in the summer of 2015 serving breakfast and dinner menus 7 days a week. Dino and his staff look forward to serving you! Yes, we are a BYOB! We can provide wine glasses, beer glasses and rocks glasses as well as sodas, lemons and limes. We are on the corner of Third Avenue and 82nd Street in Stone Harbor, NJ. Our full address and location can be seen under our "Location and Contact" page. Yes, we do! We have highchairs and are happy to provide any party with highchairs upon request. Yes, we do! We accept Visa, MasterCard, American Express and Discover. We also accept cash payments and Borghi's gift cards. Is your restaurant ADA accessible? Yes, it is. We have wheelchair accessible ramp, along with ADA accessible seating and restrooms. Give us a call and we'll accomodate any accessibility concerns. Do you have options for those with dietary restrictions? Yes, we have gluten-free, vegan and vegetarian options. We can accomodate most, if not all, dietary restrictions. © Borghi's Restaurant By the Bay, 2018. All Rights Reserved.